I bought some cheap games again. Not because I wanted to own these specific titles, but because of the price-tag. I'm not even going to speculate on how long these titles will have to wait their turn, but I know I won't play them anytime soon. Again, I bought four titles, as that's the usual deal at one of my local stores. They tend to have all the oldies on permanent sale of four for about $15, which is fine by me. I stop by from time to time, hoping the put something interesting in the bargain bin. I got Broken Sword: The Sleeping Dragon for the PC, Project Zero II for PlayStation 2, Halo 2: Multiplayer Map Pack for the Xbox and Denki Blocks! for Game Boy Advance. I've never played any Broken Sword games other than the first two, so it will be interesting to see how well this title works in more action oriented 3D. 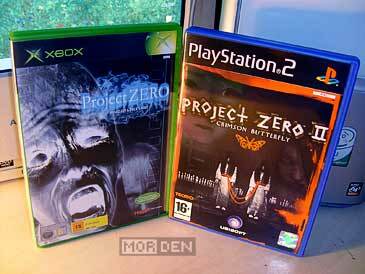 I bought Tecmo's Project Zero II, also known as Fatal Frame or simply Zero, because I already own the first game. Having said that, I have to admit I've never bothered to finish it, so maybe I'll go back and do that before I start playing the sequel, whenever that may happen. I chose to get the map pack for Halo 2 because of the lack of better alternatives. I've never really played that much Halo online, and that probably won't change anytime soon. 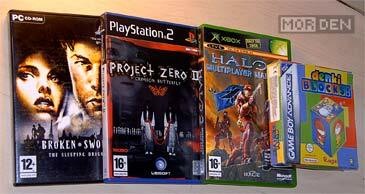 Still, I had to get four titles and it was the map pack or a Fifa game, or perhaps NHL, which I absolutely despise. 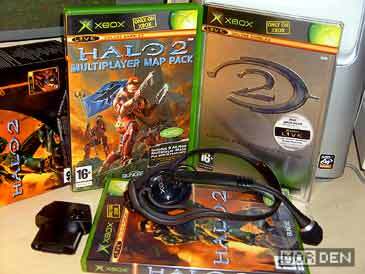 The map pack box says that Halo 2 is required to play, and I wonder how exactly does that work. I haven't bothered to check yet, but I'm guessing the game installs additional maps on the hard drive. You can't really swap discs on Xbox, so installation is probably the only way to go. We'll see. Last but not least is Denki Blocks! And it's not me expressing my enthusiasm here - the game actually has an exclamation mark in its title. 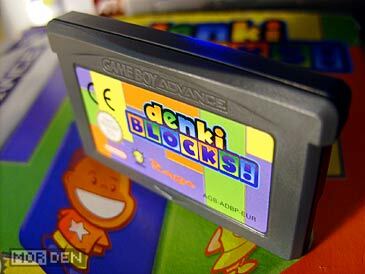 I have already played Denki Blocks! on Game Boy Color some years ago, and I really enjoyed it, so I knew what I was getting. It's a really decent, but not well known puzzler, that's all about positioning the blocks right. You start off with a cluster of blocks and a shape to replicate. When you use the directional pad, you move the blocks around, all at the same time. You have to position them in a desired way by pushing them against various obstacles. The concept might not be too entertaining when you read about it, but I assure you it's plenty of fun. To finish this entry, some sad news - sad for me anyway. It's not something I have bought, but rather something I have lost. 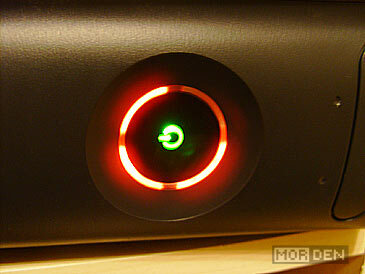 I lost my Xbox 360 to the dreaded Red Ring of Death. It came as a huge surprise, since I wasn't using it lately. I switched it on to watch a movie, and it just froze. Gave me some error message, started acting up and refused to start properly. At first I got only the lower right diode error, along with a message on the TV screen, and after that it did boot again, but the next day it wouldn't start at all. Who knows what was going on inside the console, but now it's dead and I have to send it to Microsoft, so that they can get it working again. I bought an Elite, because I wanted to have the best possible alternative. Serves me right for spending a bucket of money on a console that dies, no matter what model you buy. 2009.09.27 Sun Xbox ☆ Xbox 360 Comment Tweet This!